For over 70 years the Hellespont Group offers integrated shipping services to their customers around the world. We are proud of our rich history and to share the milestones of the group with interested readers. Jason and the Argonauts) to carry the unfortunate children away to safety in Asia Minor. As the winged ram was carrying the children across the Dardanelles, it encountered unexpected clear-air turbulence, with the result that Helle fell to her death in the Dardanelles. From that day onwards, the Greeks have called the Dardanelles the sea of Helle -“Ellispontos” in Greek and “Hellespont” in English. Our founder’s name was Phrixos, and he had a sister called Helle. As it happens, she too died at a young age. 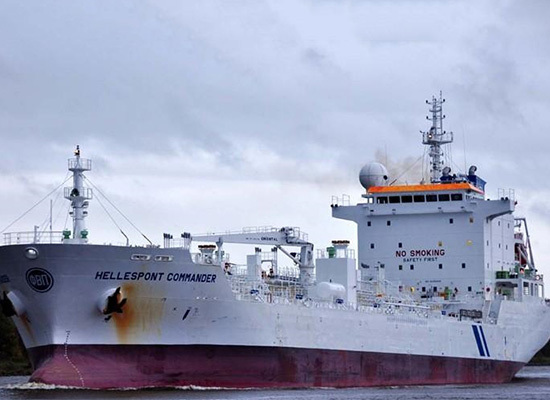 The origins of Hellespont‘s shipping activities date back to after the Second World War in Canada when the Canadian government began disposing of its war-built dry cargo vessels. 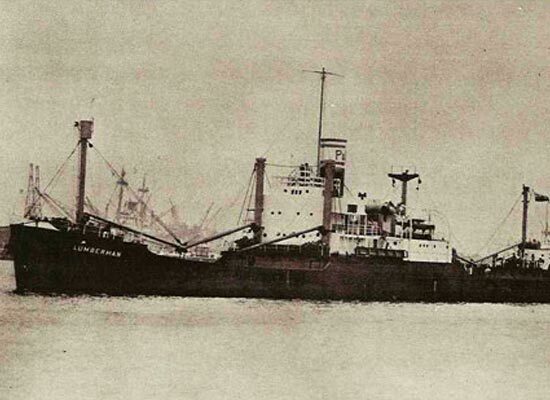 In 1946 Phrixos B. Papachristidis, grandfather of the current chairman of Hellespont, acquired his first vessel – a coal-burning tween-decker of 4,700 dwt. Within a two-year period Papachristidis bought eight more ships ranging from 4,700 to 10,000 dwt. These vessels, operated by the newly formed Papachristidis Co., Ltd., based in Montreal, Quebec, were to fly the Canadian flag in world-wide deep sea tramp trades for the better part of the ensuing decade. 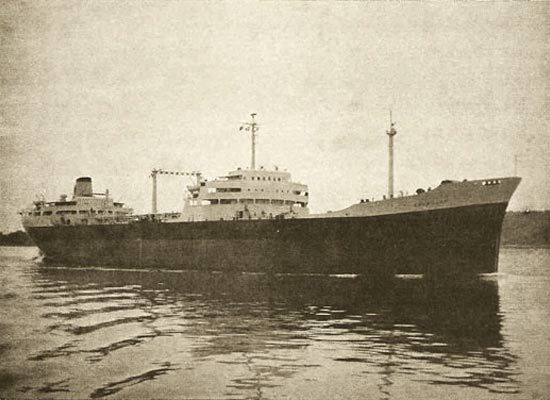 As early as in the mid 50s, Papachristidis laid the foundation for becoming one of the industry leaders and influencers in the tanker segment. 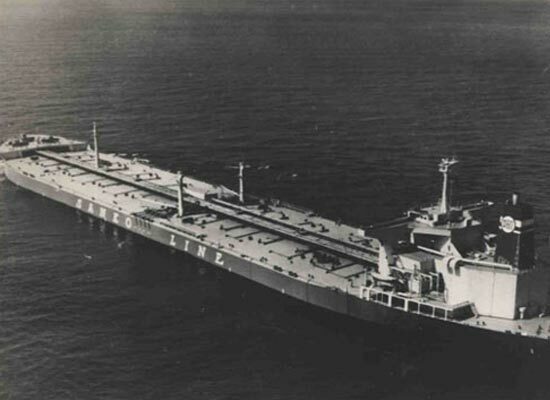 In 1955, Papachristidis made his first move into the carriage of oil by ordering two 20,000 dwt oil tankers in Belgium. This initiative, soon to be rewarded with time charters from oil majors, set the stage for further penetration into this fast-growing sector of shipping. The next such undertaking came in 1957 when Papachristidis ordered a 45,000 dwt oil tanker – the largest vessel ever built in Canada at that time. 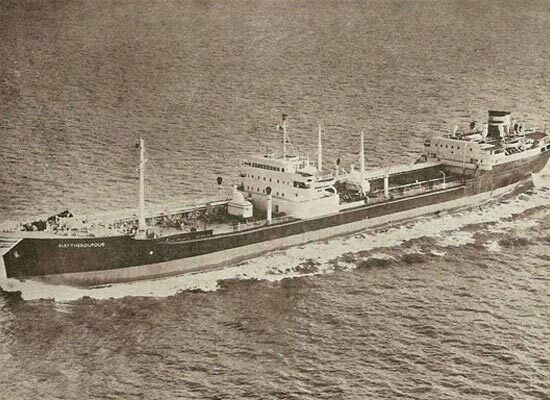 This oil tanker, named the “Emerillon”, was subsequently placed on a long-term bareboat charter to a major oil company. The opening of the St. Lawrence Seaway in 1959 gave rise to an increase in the upstream movement of iron ore from the lower St. Lawrence to Lakes Ontario, Erie and Michigan and in the downstream movement of Canadian and American export grain from Lakehead to lower St. Lawrence transhipment terminals. A new generation of “Great Lakes” bulk carriers was conceived so as to maximise the cargo lift on Seaway dimensions. 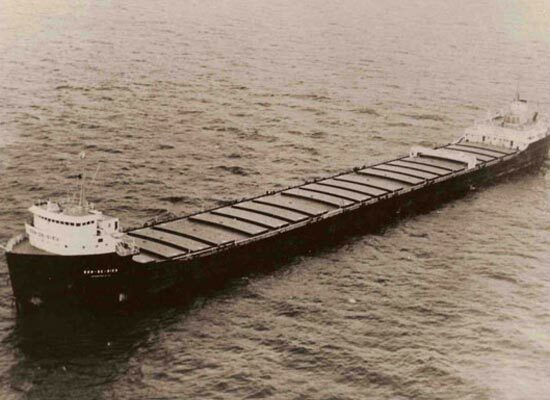 Between 1960 and 1965, Papachristidis ordered six of the maximum size 26,000 deadweight ton “lakers” in Canada, and, through imaginative financing and aggressive pricing, was able to break into this closed domestic trade with his modern fleet of Canadian-flag vessels. The Papachristidis Great Lakes fleet operated successfully parallel to the deep-sea fleet during the next decade and extended the Canadian-flag activities at a time when Canadian operators could no longer compete in international trades under the domestic register. In 1972, an uncertain future in Great Lakes shipping induced Papachristidis to sell the laker fleet, thereby disposing of the last Canadian-flag vessels the Group was to own. By the early 1970s, world shipping was in a period of significant transformation. The closure of the Suez Canal in 1967 and the ever increasing pace of industrial activity and attendant energy needs of Western Europe, America and Japan gave rise to substantial ordering of very large crude carriers and of other types of large, specialised and sophisticated vessels. Hellespont viewed this possibility as a logical way to embark upon its own shipbuilding programme. Faithful to its precept at the time of ordering or buying vessels only against long-term employment and capitalising on its experience in structuring financing against bareboat or time charter contracts Hellespont kept stride with the growth and specialisation of ocean shipping during the 1970s and responded to the challenge with a thoughtful but energetic expansion programme that, by the mid-1980’s, culminated in a sizeable, well-diversified and remuneratively employed fleet. Some of the Hellespont`s major customers were forced to terminate or discontinue their long-term commitments to employ the Group’s vessels. This unexpected turn of events forced the company to assume commercial and technical management roles on a scale it had never known. Hellespont`s financial stability was preserved through a combination of earnings from remaining long-term charters and a gradual improvement in the shipping market starting in 1986. Considerable resources were dedicated to strengthening the Group’s ship management and ship chartering capabilities. 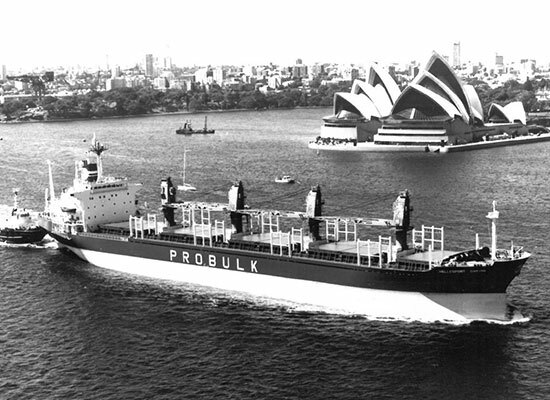 The adaptation was made in the “watershed years” of 1985 and 1986 which saw Hellespont transform from a provider of equipment to the shipping industry to a provider of ocean transportation services to the end users through its dedicated chartering arms, Seatramp Tankers Inc., and Probulk Carriers Ltd. 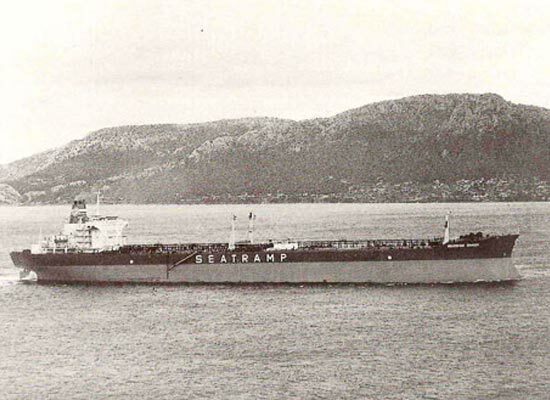 Since the transformation of Hellespont during the mid-1980s, a realisation developed that the Group’s expertise lay principally in the technical and commercial management of tankers. In keeping with this view, the decision was taken to dispose of the bulk carriers and expand the fleet of tankers under Seatramp’s control. The first initiative taken was the formation of the Hellespont Tanker Fund Ltd. in 1988. This expansion programme included the acquisition of a 51% interest in six ultra large crude carriers from the Loews Corporation in 1990. The six ULCC’s owned by the jointly-held entity, Hellespont Shipping Corp, developed a strong following among charters because of their high quality and of the standards to which they were maintained and operated. 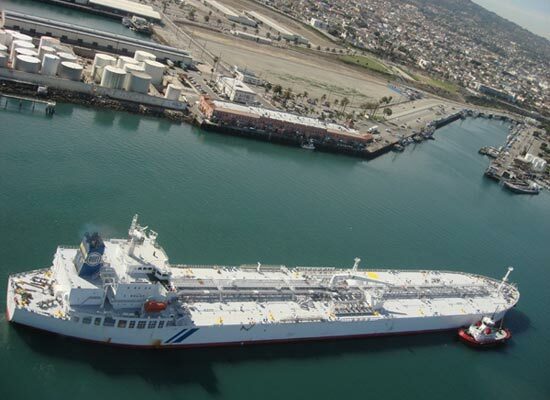 They traded successfully through one of the most challenging periods in modern tanker history. These vessels remained active in the service of major oil companies and traders until well beyond their 25th anniversaries. Hellespont took advantage of the high demolition market from 2002 onwards to dispose of these ships and make way for the new double hull units it had ordered. 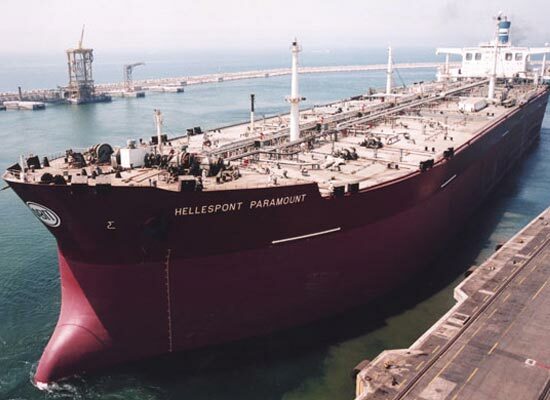 In late 1999, Hellespont Shipping Corp ordered four 303,000 dwt VLCC’s and four 442,000 dwt ULCC’s, respectively from major Korean builders. The contracts for the four VLCC’s were subsequently sold. The ULCC’s, delivered between December 2001 and March 2003, were designed to very high standards in keeping with the tradition of safety and excellence for which the Hellespont Group has been known. Apart from being amongst the largest tanker vessels in the world, these vessels were best known as the “White Elephants” which took into consideration the sheer size of the vessels but also their all-white coating of the hull, the accommodation and the deck. The high tanker freight market of 2004 presented the opportunity for the Group to take advantage of the high second hand sale and purchase market, and to sell the ULCCs at a handsome profit. 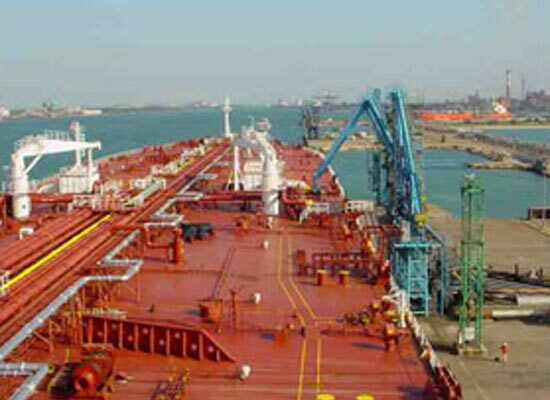 While the Group waited for the tanker market to abate before undertaking its next speculative tanker investment, it was seeking to build a portfolio of tankers and other vessels against medium to long-term employment as a means of building long-term equity in ships without taking undue market risk. 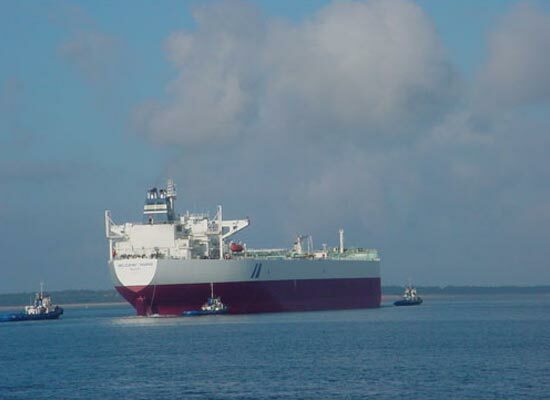 As a step in this process, it bought one 1999 built Aframax Tanker, which was covered by remunerative time charter and/or pooling arrangements. 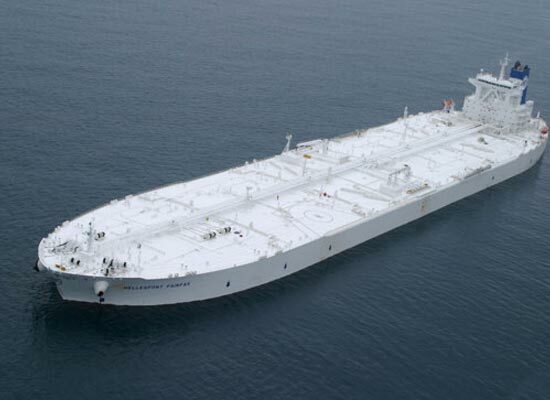 Also the company ordered six newbulding Panamax Products Tankers for delivery in 2006 and 2007. 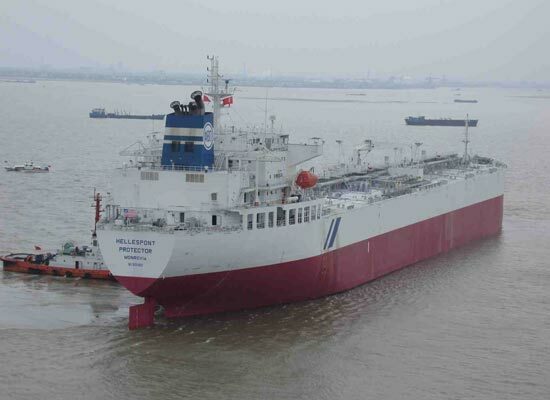 The year 2006 saw the delivery of the first four Panamax class tankers ordered in 2004 from a yard in China. 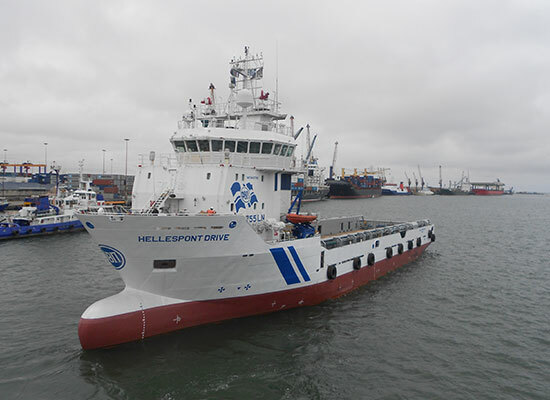 But this year also saw another change in the fleet focus with the placement of an order of six newbuilding Platform Supply Vessels for delivery in 2008 and 2009, which was the first step of the Hellespont Group into the Offshore market. All vessels acquired or contracted since late 2004 were financed in the German KG market, which had the appetite for more tonnage in all tanker segments. Hellespont completed the Panamax Newbuilding project in 2007 by taking delivery of the last two vessels from the yard in China. 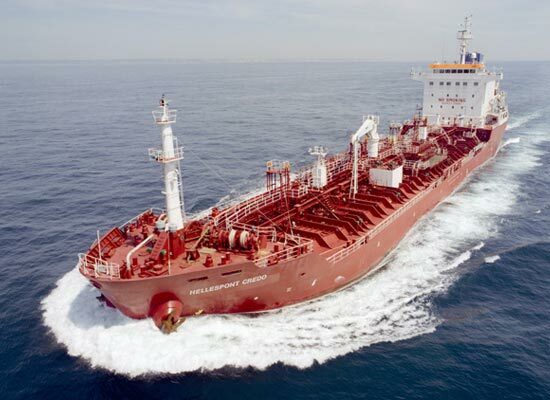 At the same time they bought a 1999 build Suezmax Tanker the same year and placed an order for six newbuilding IMO2 tankers for delivery 2009 and two newbuilding IMO2 tankers for delivery in 2010. In 2008 the company took delivery of three 13,000 tdw chemical tankers as well as two smaller tankers of 6220 tdw for a sister concern operating in the parcel trade for chemicals. Also the first Platform Supply vessels were delivered from yards in India and Indonesia. 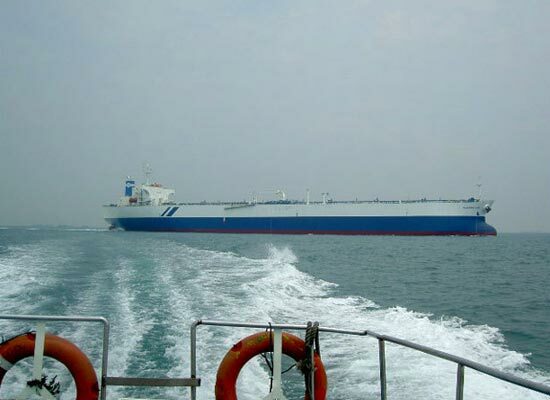 The year 2009 saw the three 17.000 newly build chemical tankers as well as one PSV joining the fleet. During 2010, the company eventually completed their ambitious newbuilding program, with the last of the three 17.000 tdw chemical tankers joining the fleet.